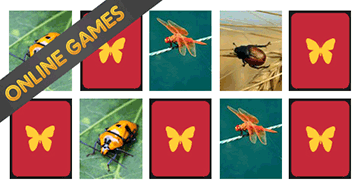 Memory games online for kindergarten kids: Bugs! A picture will be displayed for a second when you click on a card. You have to memorize what was displayed and click on another card. All the learning toddler games, preschool games and baby games at this site are free. Free Kids Memory Game: Play Bugs Game! Encourage fun and learning at the same time with Happy Clicks Net online games. Happy Clicks Website provides, among others, excellent memory games for kindergarten kids and preschoolers. There are no time limits. No winners or losers. Our memory games are designed for children specifically in the age group of 3 to 5 years. Kids love playing memory games online. These learning games teach important skills for preschool and kindergarten kids. Memory games enhances your child's reasoning and cognitive skills. Memory games help to improve kid's memory by concentrating and focusing. Children love practicing their memory, please have a look to our others Free Memory games online for kindergarten kids. Happy Clicks Net is the best website for your babys, toddlers, and kids, featuring age-appropriate entertaining learning games. This website features many activities for kindergarten kids to do. Made for children who love playing online games at an early age and for parents with the purpose of combining fun with educational activities. All the learning games for toddlers, preschool games and baby games at this site are free. Here you will find many others fun and easy games to teach basic computer skills to babies, toddlers and preschool kids, visit our online games for 3 year old. 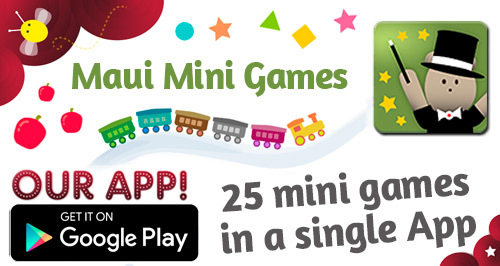 Free online games for kids, toddlers and babies.